Central Bureau of Investigation recorded Kolkata Police Commissioner, Rajeev Kumar's statement for a third consecutive day in connection with allegedly tampering with evidence in the Saradha Scam , on Tuesday morning. 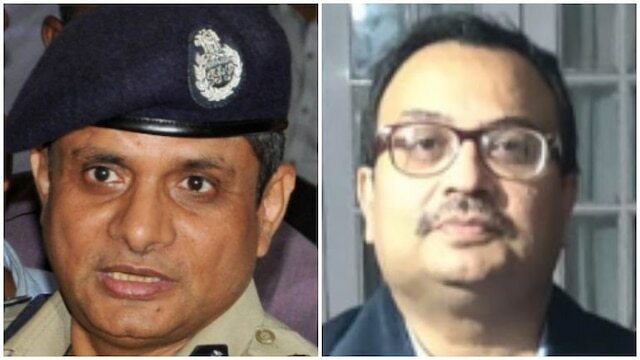 According to sources, during the questioning Rajeev Kumar shifted the blame onto other officers of the Special Investigation Team (SIT). It is also learned from sources that he pushed the blame on the other officers of SIT , namely Arnab Ghosh. Ghosh was allegedly equipped to handle day-to-day running of the SIT. Another officer Kunal Ghosh was allegedly pressurised by politicians to not to take their names . According to sources, during questioning Rajeev Kumar revealed names of political leaders which came up during the investigation carried out by the SIT. The names have been recorded in his statement.